to become leaders and disruptors in their communities. 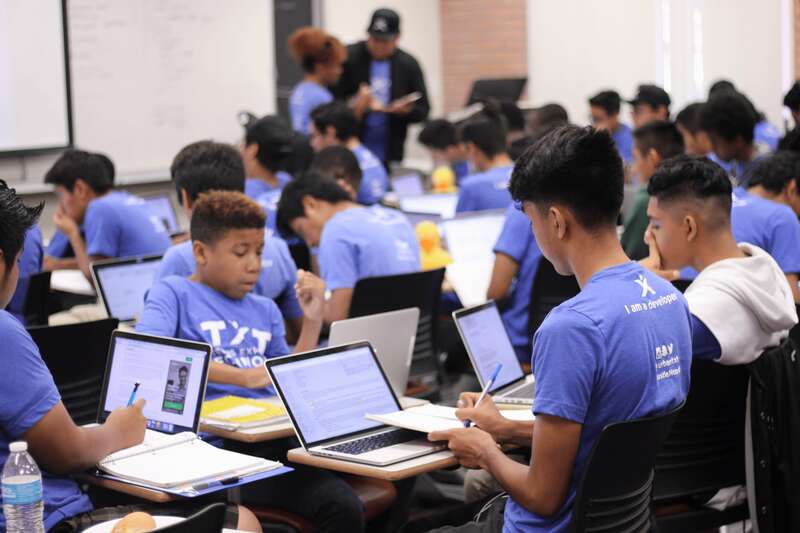 A 12-week computer science and leadership program for low-income young men of color in 8th-11th grades held at the University of Southern California (USC). 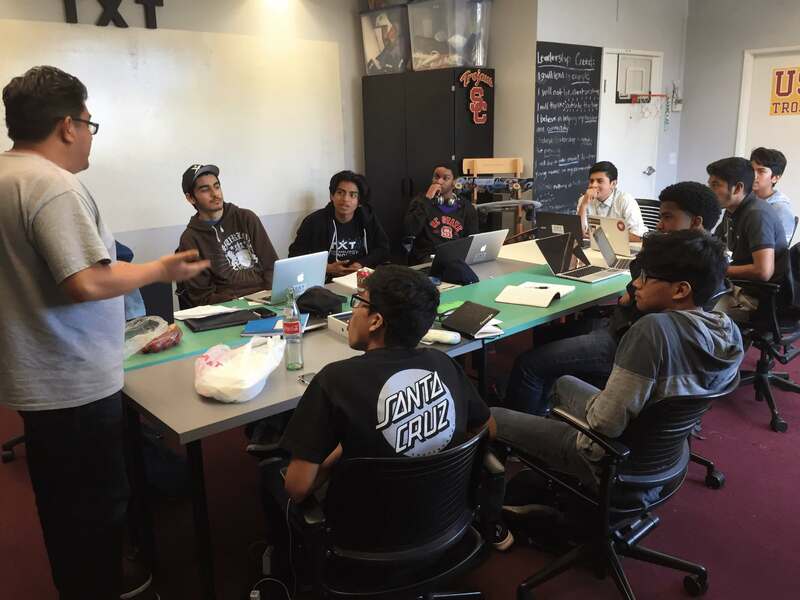 SCLA is our flagship program, where our process of developing a generation of tech leaders starts. A 10-week, advanced programming curriculum for SCLA graduates. TXT Labs is TXT’s social enterprise arm specializing in software development & IT services and focused on providing end-to-end solutions, including ideation, development, and marketing. 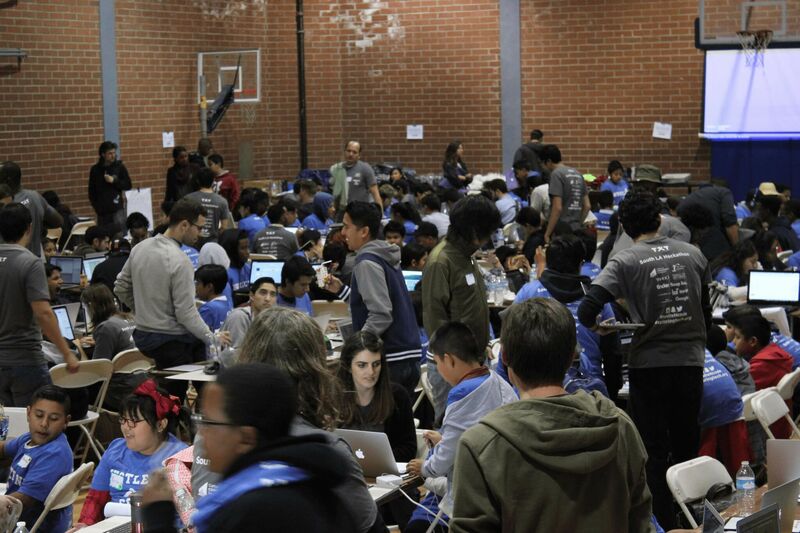 Every year, TXT hosts a Hackathon at a public housing project in South Central Los Angeles. We serve young men of color between the 7th and 11th grade who are from low income communities. Since 2009, we’ve used the concept of developing strong teams as a way for our young men to learn about collaboration, ideation, and long-lasting life skills. In small teams, our youths learn the process of taking an idea from concept to market.